Manchester United are looking to extend his contract so that the deal can work. The deal is said to be a loan spell until the end of the season with an option to buy for 4 million pounds (If Man Utd do extend his contract). Perhaps he wasn't good enough to start for Manchester United but a very good professional if you ask me. From right-back to left-back to even centre-back, Darmian played well when called upon this season, and not once did he complain. But if the speculation is true, is this a step in the right direction for Manchester United? For me, it's a big NO. Why? 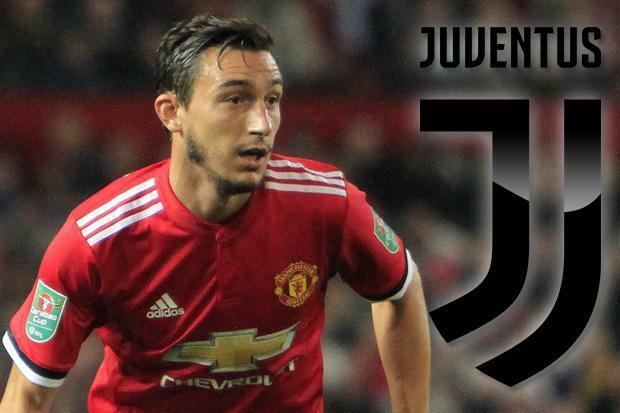 Here is a quick review on my thoughts about Matteo Darmian leaving this January. Considering the fact that Manchester United could have sold him in the summer for around 10 million euros and now could potentially sell him for much cheaper seems to be a crappy deal for the Reds but a great one for 'The Old Lady'. And why Ed Woodward has decided to get rid of him instead of Phil Jones is beyond me, yet another bad for Man United. And it could also mean, we get more of Phil Jones! Yay! Who replaces Darmian when Man Utd get another injury? Or rotated? There are rumours of a potential recall for Fosu-Mensah, who could be our 2nd or 3rd choice right-back. It is argued that Valencia, Dalot and Young, if available, should all be starting ahead of him. However, if we were to let Darmian go, it would be wise to have young Fosu-Mensah as an option for the team. He is currently not getting much game time at Fulham as Ranieri obviously does not regard him very highly. Also, with Manchester United not looking to be very active in this transfer window, it may be a good idea to recall him in order to ensure depth within our squad. Matteo Darmian has added depth to this Manchester United squad, who have had an injury crisis this season and unless you're looking to spend money or recall loan players then getting rid of him right now would be a bad decision. I mean, its already a bad business deal.